The first time that I heard this tune was in a sample entitled (simply) “Interlude” on the Cypress Hill album “Black Sunday”. I always wondered where the slinky soul groove came from. Then I picked up a copy of Mojo magazine with the free CD “Soul Riot” (strangely, just about the time I bought the Sly Stone album “There’s A Riot Goin’ On” – a classic) and got the true picture. SUCH a truly great tune (and under the radar for many) that deserves recognition for its deep soul groove and lyrics depicting the struggles of Black Americans in the 60s and early 70s. What brought this up was a Meet The Brewer back in September at the Salford Arms with Rik Garner of First Chop Brewing Arm (read here), in particular, how he came to the name of the first beer listed below, named after the artist who recorded one of his favourite albums of all time, Syl Johnson. Click on the tune above and just ……. 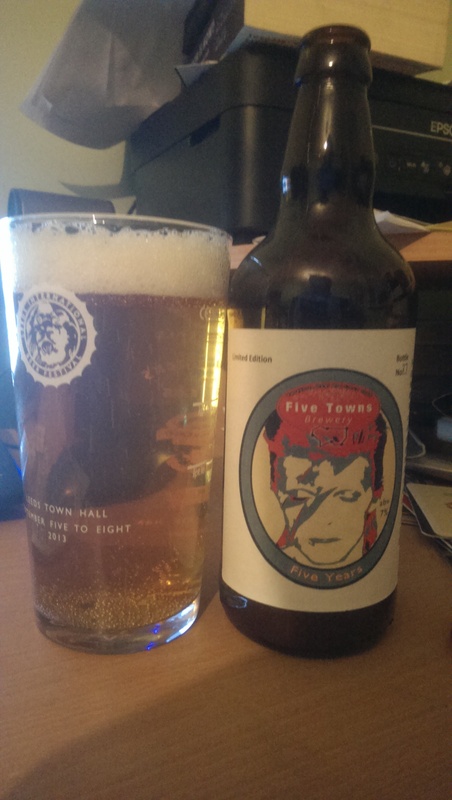 The story of the naming of this beer just works so well for me, well, you know my love of music & beer interacting! However, as said many times before, it only resonates if the beer is any good! (NB : I believe that Jaggery is an unrefined Indian sugar – sure Rik will correct me if I’m wrong! As I have said previously, like many bloggers, I get some stuff to try for free. 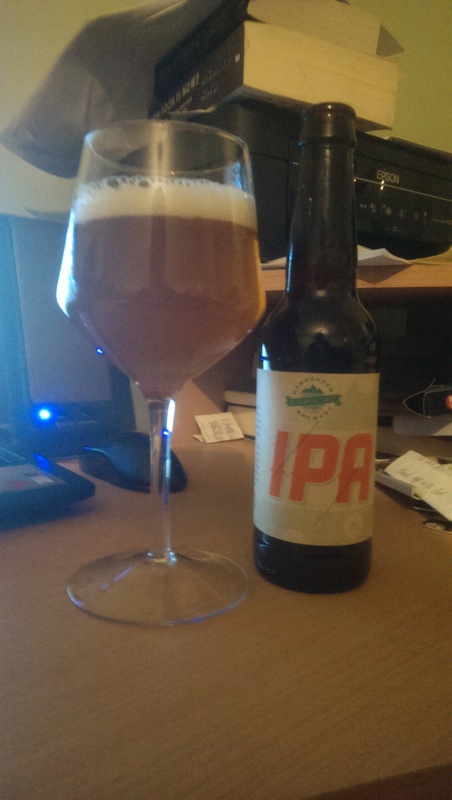 Being a beer blogger, that tends to be….you get the picture. I always say the same thing, If it’s good enough, I’ll review it. If not, a quiet word in the shell will suffice with a reason why. This was one such passed by Damian O’Shea a while back. A light haze on this deep gold beer. Lively wee bugger too with monstrous white head. Spicy nose with a little orchard, maybe raspberry on the nose. 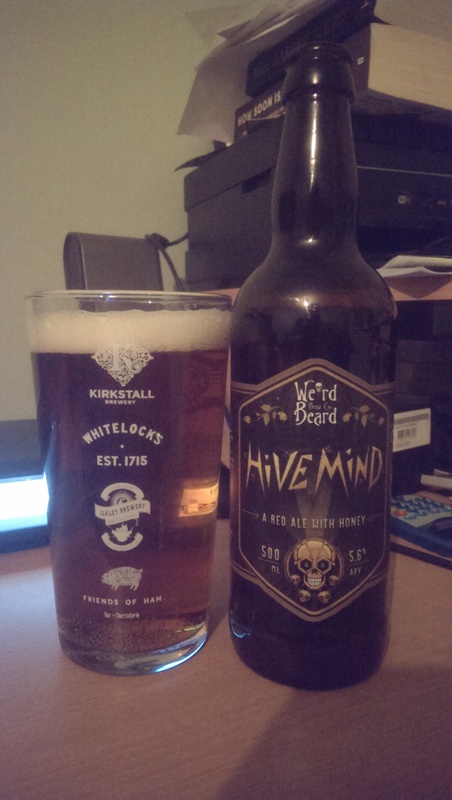 Decent smooth mouthfeel, really refreshing with orange peel, what feels like coriander and a nice hoppy grassy bite in the finish. For me, the best I’ve had from this Suffolk brewery. Really nice refreshing wheat beer. 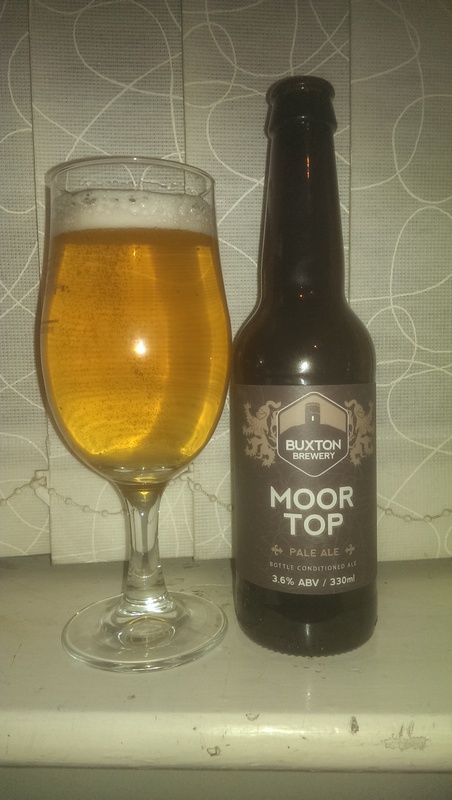 I don’t think that I’d had anything by Buxton prior to popping into The Beer Shop in Heaton Moor about 18 months ago (just prior to starting to blog). I was lured into a swift half whilst browsing. I fell in love! Not had a bottle though…. Hopped with Chinook, this is a pale golden beer with a lasting and clinging white head giving up a lovely & subtle – yet distinct – grapefruit aroma. Smooth and medium-bodied in the mouth with more of that there grassy grapefruit. 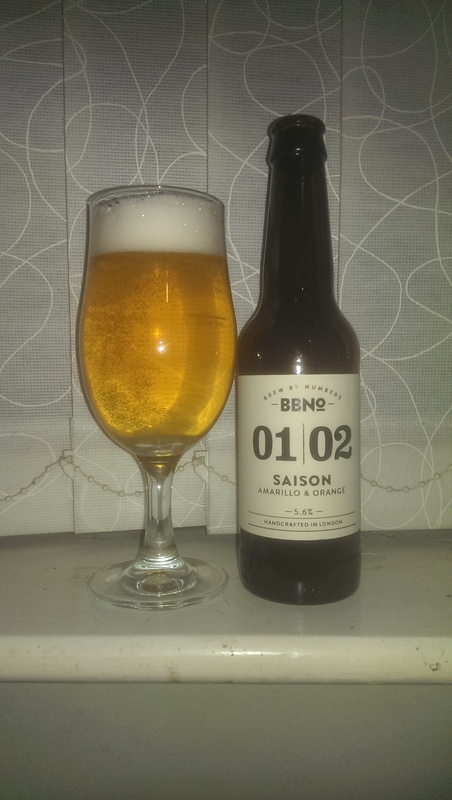 Really refreshing but with an assertive bitterness teamed with a really nice fruity and resinous finish. 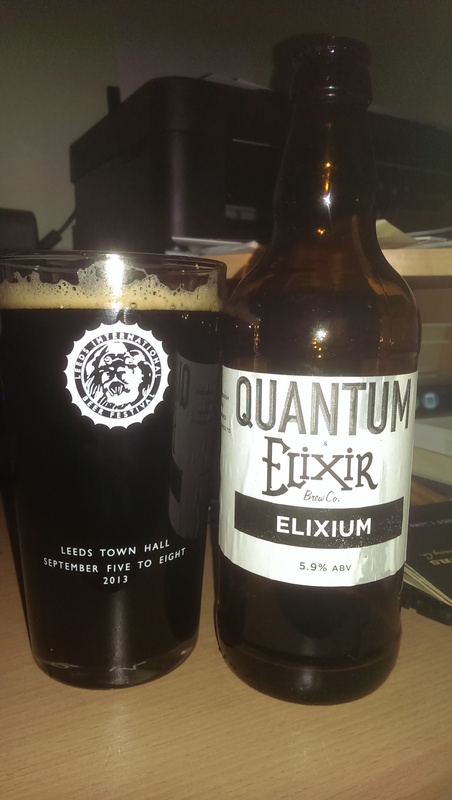 The first beer I had on draught from Buxton and just as good in bottle as on draught. And that is high praise indeed. May I start by saying that I’m not sure Saisons are “my bag”. Not sure that I really understand quite what they are “for”. I mean, I know that they were made in the Benelux countries and Northern France and were meant to slake the hardest of farm workers thirsts, but…Maybe I’m just a simple soul. However, sometimes I just enjoy a beer for what it is. 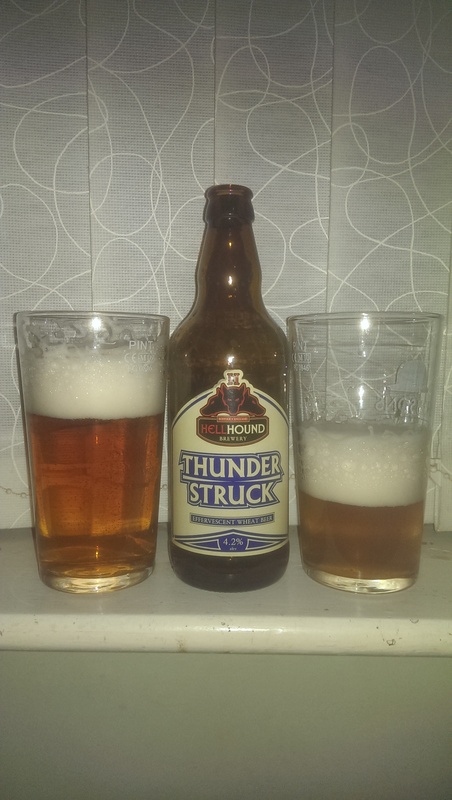 Here’s one such beer that I was persuaded to buy by its incorporation of my favourite hop, Amarillo! Straw coloured and highly effervescent with an abundant white head giving off some orange and a distinctive funky note with a bit of fizzy sherbet. Mmmm….The amarillo (bias declared!) is certainly present & correct in this beer. I was just about to note the spicy wheaty characteristics of this, then I noticed that wheat flakes were used! Nice medium-bodied, prickly on the tongue with those bubbles and a nice orange citrus tone drawing you forward to the dry bitterness of the finish with some of that light spice mingling in the aftertaste with the sticky hops. A nice refresher. Another beer from Raj’s burgeoning shop. The selection seems to widen and improve week by week to the extent, that some weeks, you can’t move for case upon case of freshly delivered beer! Busy and deservedly so. I haven’t had much in the way of Redemption (beer or otherwise! ), and none at all in bottle, but what I have had has been superb, especially the low-abv Trinity and their Fellowship Porter, both superb beers. The bottle has a head start for me, old-fashioned and substantial. However, opening the bottle showed that the contents were far from old-fashioned! A “London Murky” adherent? Look past the haze! Quite a hazy deep golden beer with a white head that is hanging around! Big citrus aroma sticking its head out of the foam. 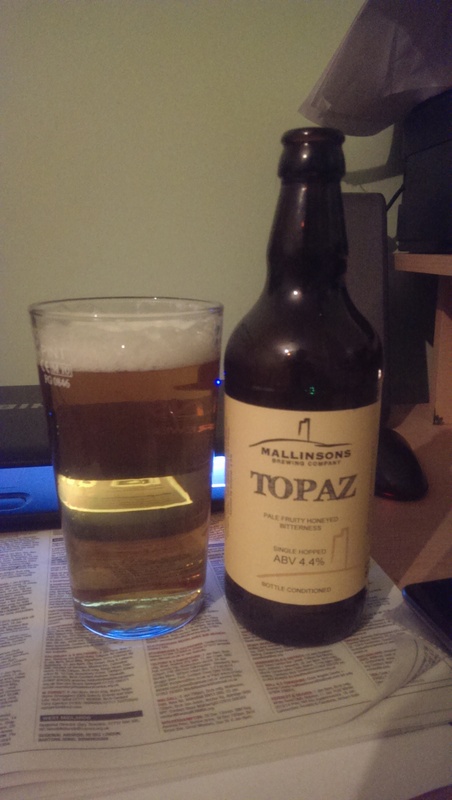 Nice big malty base for this beer with a bit of caramel biscuit to hang these hops on. And hops there are! Nicely bitter and fruity with big sticky resins in this. Manages the trick of sliding down real easy whilst feeling bigger than it is! Just the right amount of sweetness for balancing against the bitterness. Nice smooth and full-bodied. 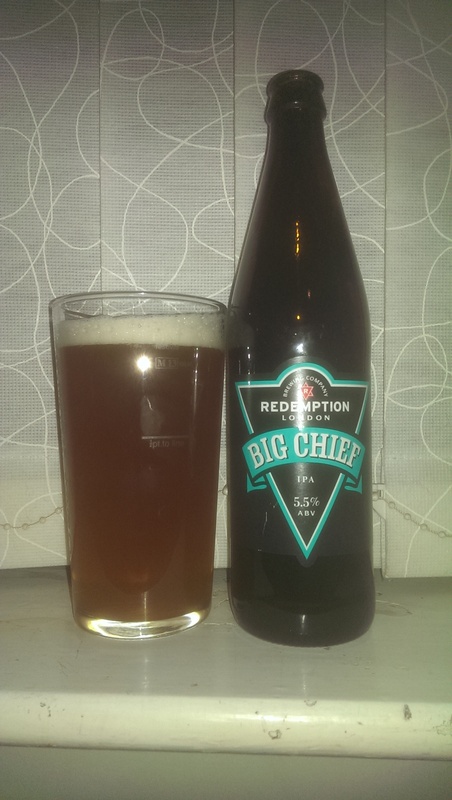 My first bottled Redemption will NOT be my last! Another shop with an increasingly impressive range (increasing in size too!). It’s great to see what looks like a success story happening in my own town. I’m hoping that in a couple of weeks, that they’ll be able to officially let the drinkers spread out onto the tables outside in the market food court. Makes sense to use the tables provided to fullest extent! Nice to see some Wilson Potter in the range. A little birdie tells me that there may be some coming on draught too? 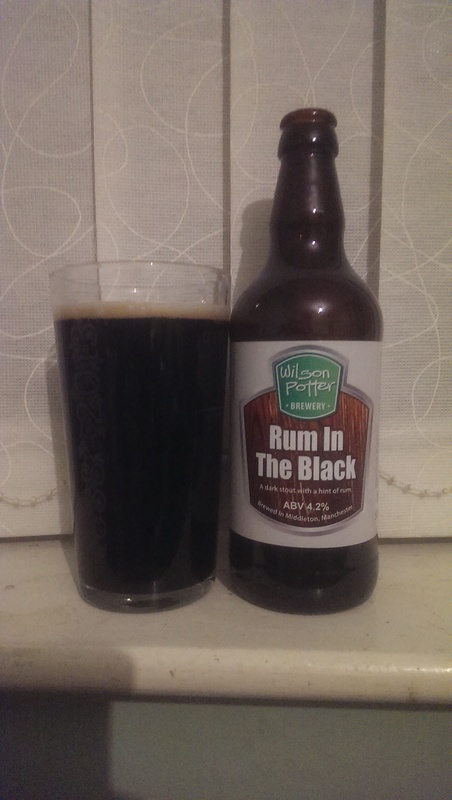 Darkest brown to black beer (you can only tell when held to the light) with a tan head and a lovely chocolatey aroma! Ooh but this is damned fine! 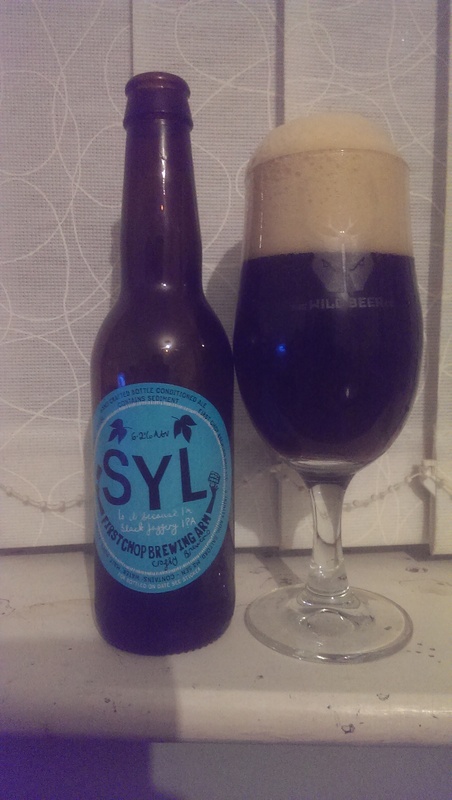 Medium bodied with a lovely initially chocolatey mouthful giving way to something I do love in a stout. Nice bitter hoppage! There’s something else there too that my palate can’t quite ID, a little sweetness maybe from the rum? Molasses maybe? Whatever it is, this is up there with their recent pales for me – given my love of all things dark! A lovely roasted and hoppy finish too. Lovely! It’s now 01:50 on Saturday morning. This blog is done and so am I! Next week will be spent working away in that there big city with, one hopes, the odd bar or two featuring?